It's Not Work, It's Gardening! 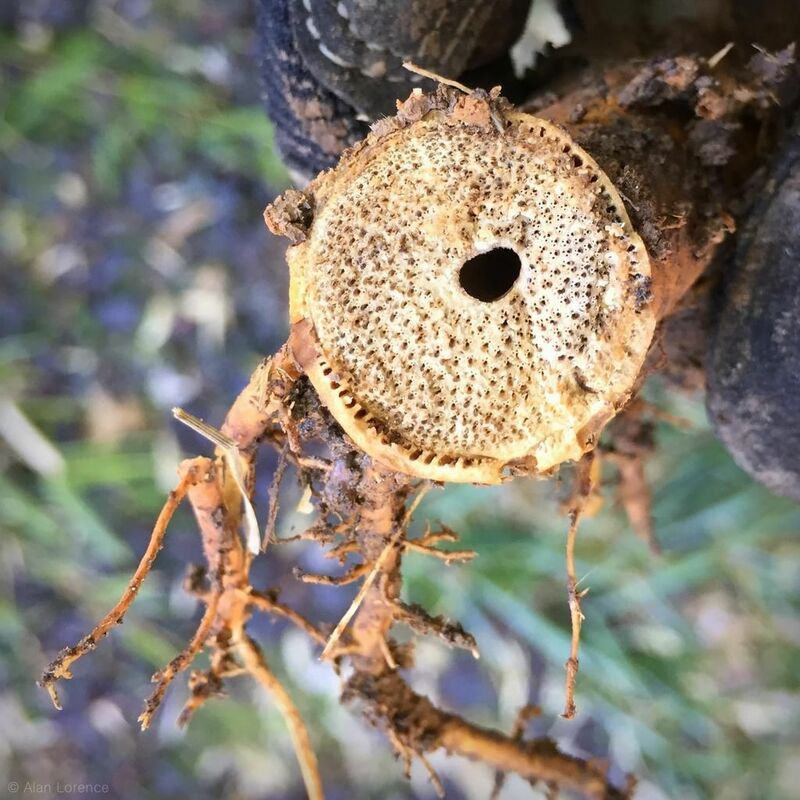 : Spring means: rhizome pruning! 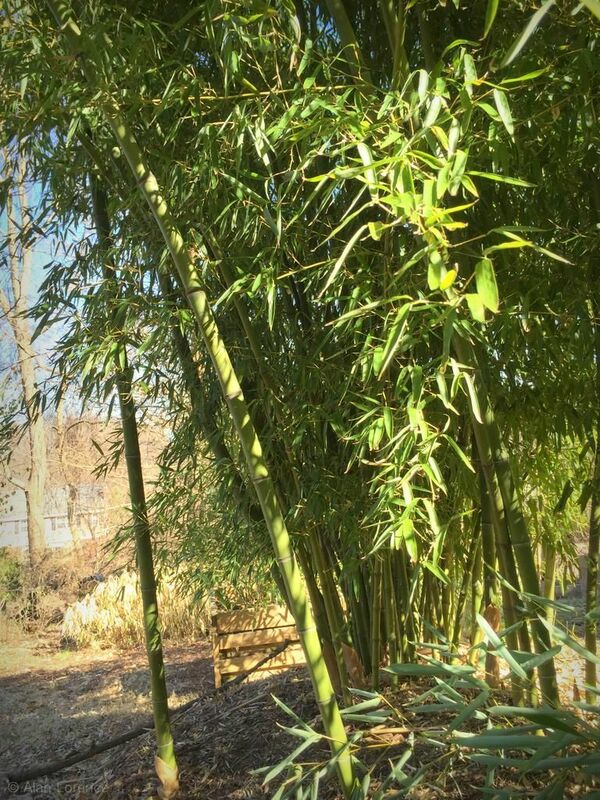 I'm a little ahead of myself as spring is not actually here yet, but late winter is when I prune the rhizomes on my bamboos. 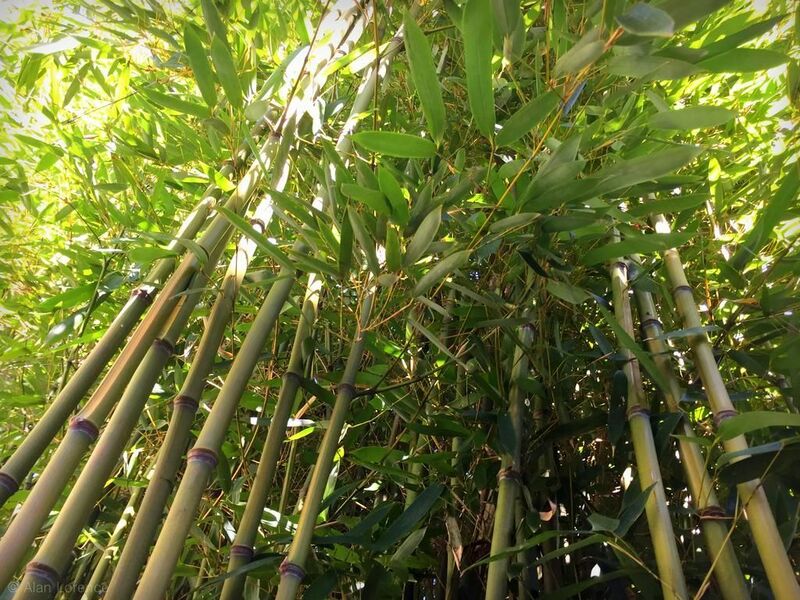 This must be done at least once a year (better if I do it a second time in the fall though) in order to keep the bamboos from taking over the garden and my neighbors' yards. 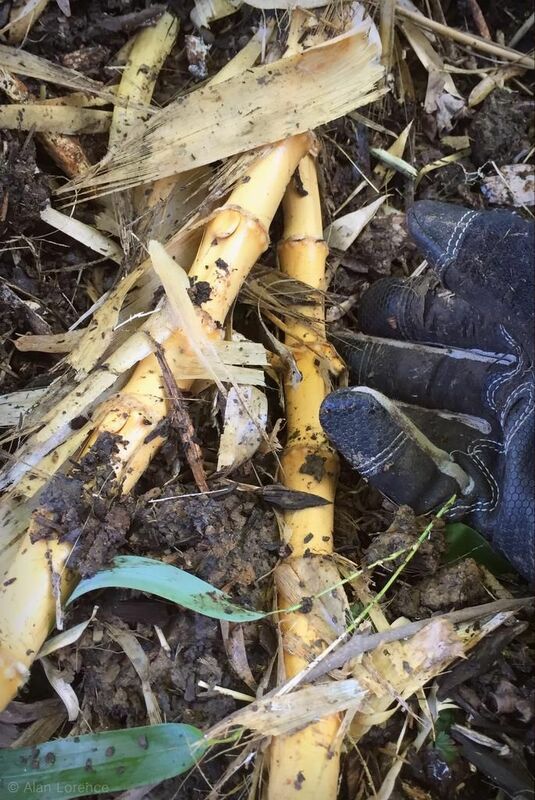 My large bamboos all have a mulch-filled trench around them in order to make this task easier, and the mattock is my tool of choice to find and cut those escaped rhizomes. 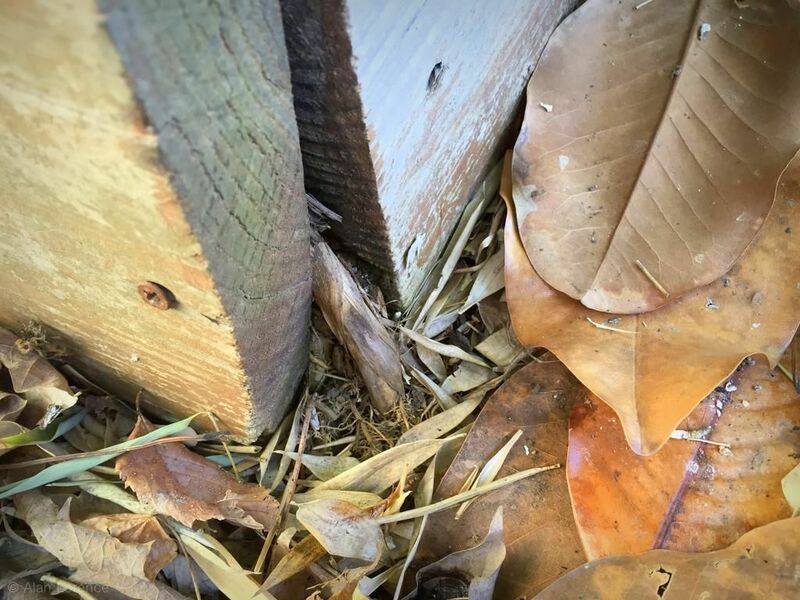 The tool is actually resting in the trench in the above photo. The trench now contains a mixture of soil and mulch now (very loose soil actually) after a few years of digging and refilling. It's nothing like digging in my heavy clay soil, but is not exactly easy. ...but I love that photo! 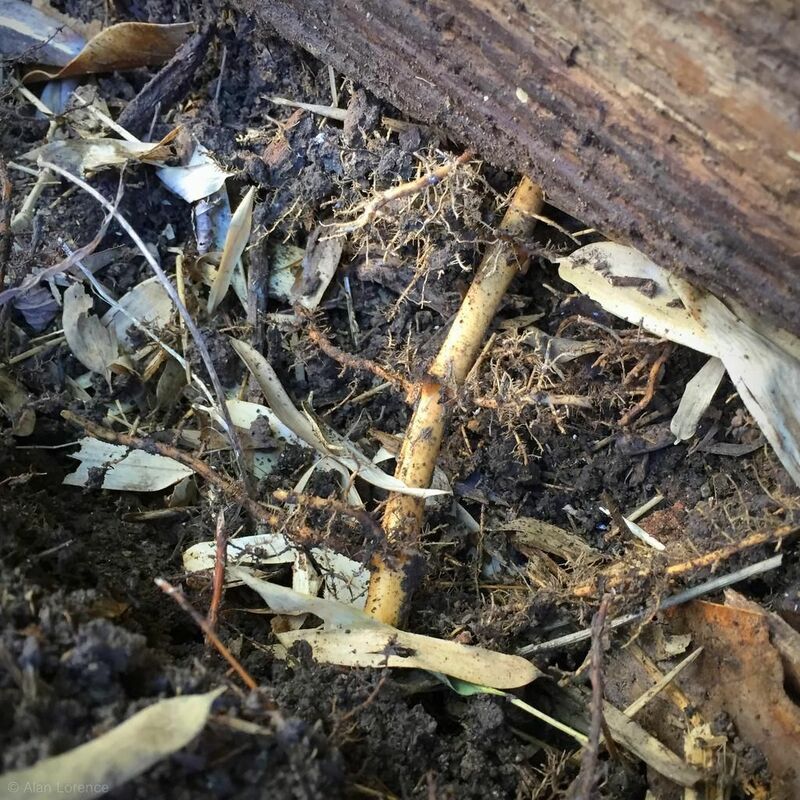 Note that most of the rhizomes escape on this side, and are less than 6" (15cm) below the soil surface. I'll either prune those off or tie them up into the main "bundle". ...obviously I forgot to cut these escapees off last year. I don't remember why I left them -- maybe I was going to dig and pot them up? That plan has just been replaced by "cut them down". I'm sure I'll need to knock down some shoots in the lawn, but these won't spread any further if I ensure they don't produce any leaves. I could try and pull or dig these out, but I'm not really up to that task yet, and it's not strictly necessary. 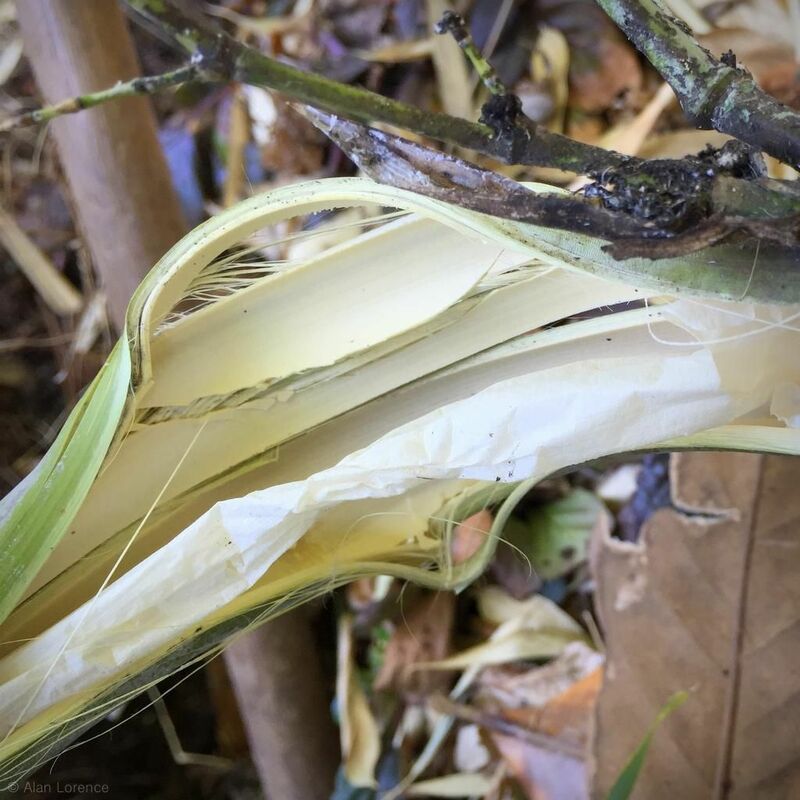 I'll post more on rhizome pruning later this week, maybe tomorrow. Today it will feel like spring again so I'll get a couple more hours of work in out there. I feel a bit like this after pruning for a couple of hours, but it's so great to get out into the garden again! Great post on a topic of interest to many people. 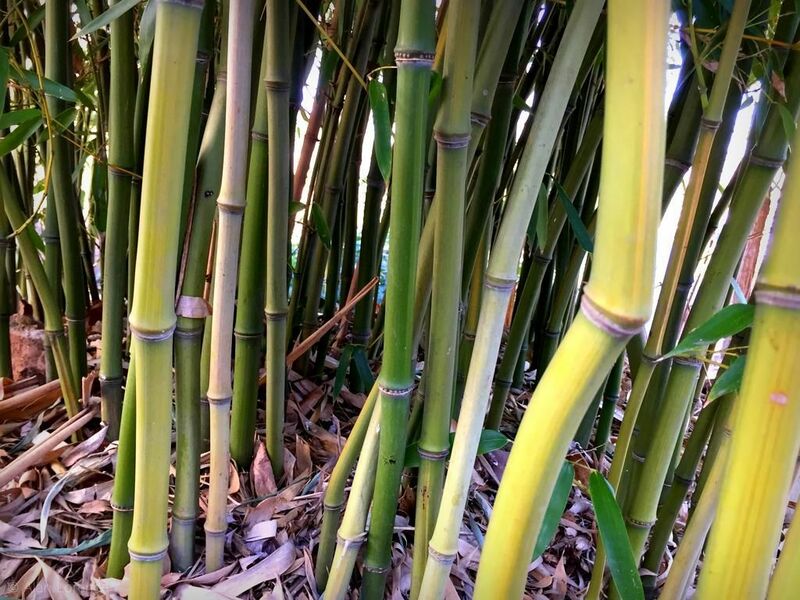 I think your approach is a great alternative to a traditional rhizome barrier, which is costly to install and lulls people into what often is a false sense of security. 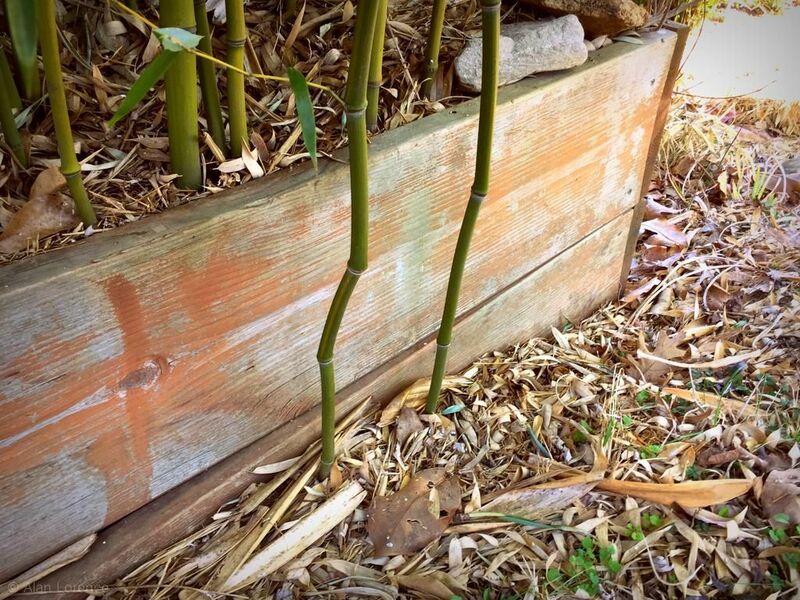 Great post Alan, on what still is the best way to maintain and contain running bamboos! Pruning the runners seems like it's a constant battle sometimes. Interesting how sore one gets after the first real workday back outside! Gerhard: that's a great point! 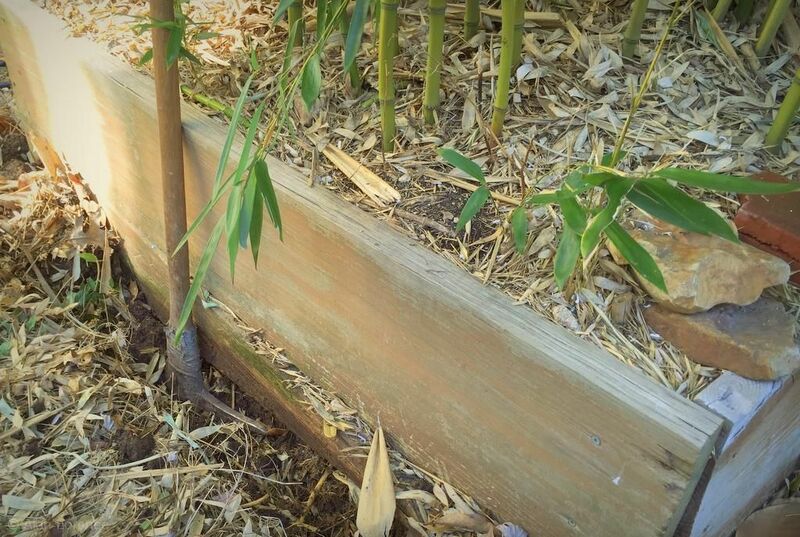 Plus rhizome barriers are not possible where there are established trees or on a slope. Mark/Gaz: Thanks! It really is the best way even though it takes a bit of effort. Peter: That's a good soreness though, isn't it? 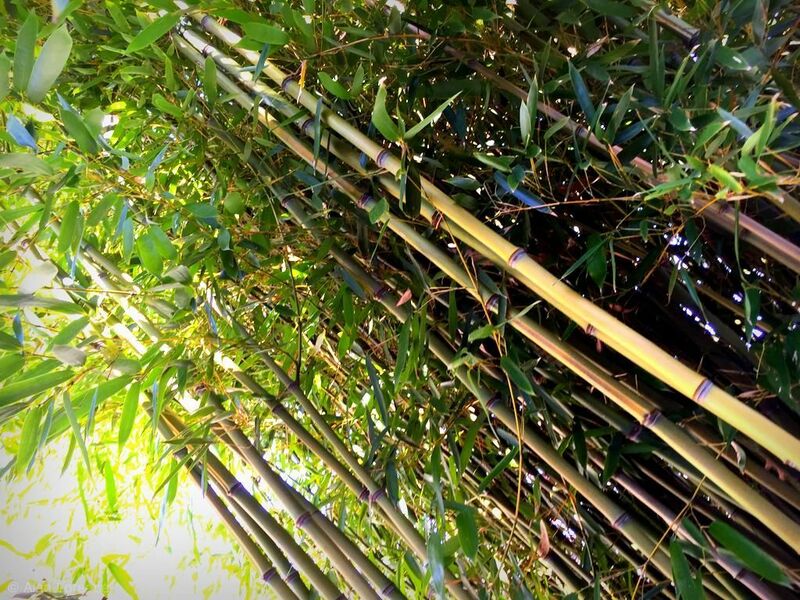 Do you have just the one bamboo planting, or more than one? 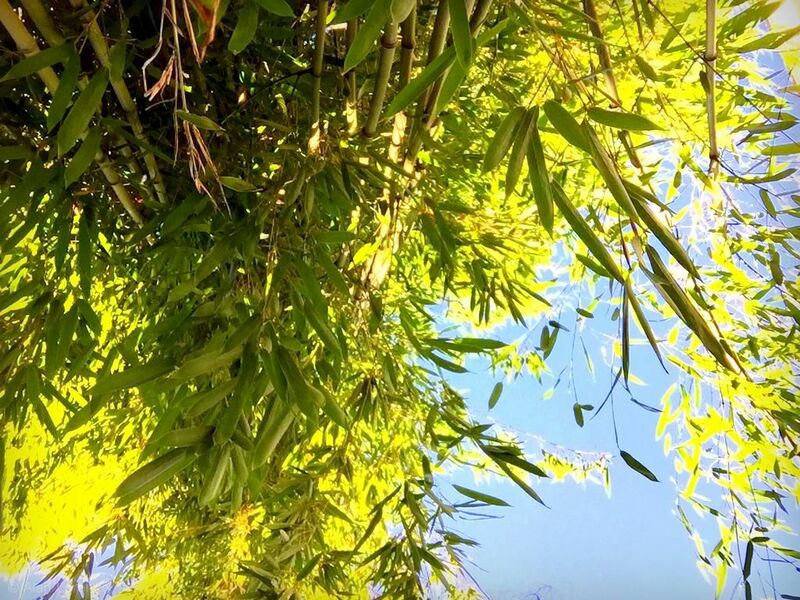 That looks like a lot of work, but those pictures of the bamboo against the blue spring sky look totally worth it! 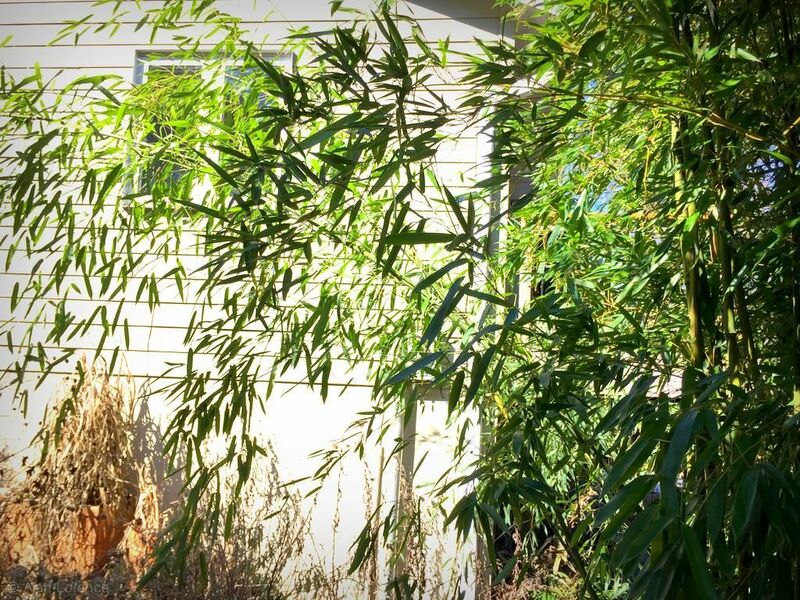 I bought a house and bamboo must have grown like crazy. I am trying to get rid of it. I am finding the people before tried too. I am finding rocks, dirt, plastic more rocks, they tried covering it up. 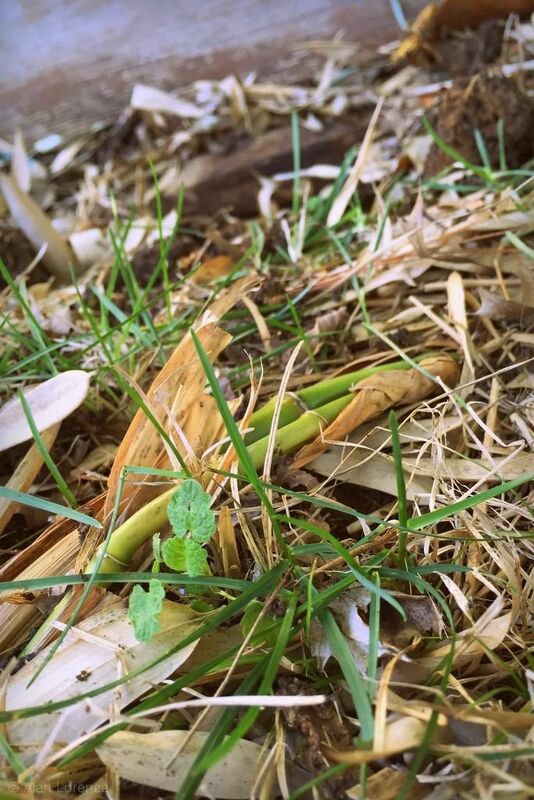 Shoots keep coming up and I use a pick and get the roots. I'm to old for this. How do I get rid of it?